To the transfixed I-90 motorist, Thorp, WA probably isn’t much more than a large white building on the north side of the freeway, emblazoned with the words ‘Thorp Fruit and Antique Mall’. 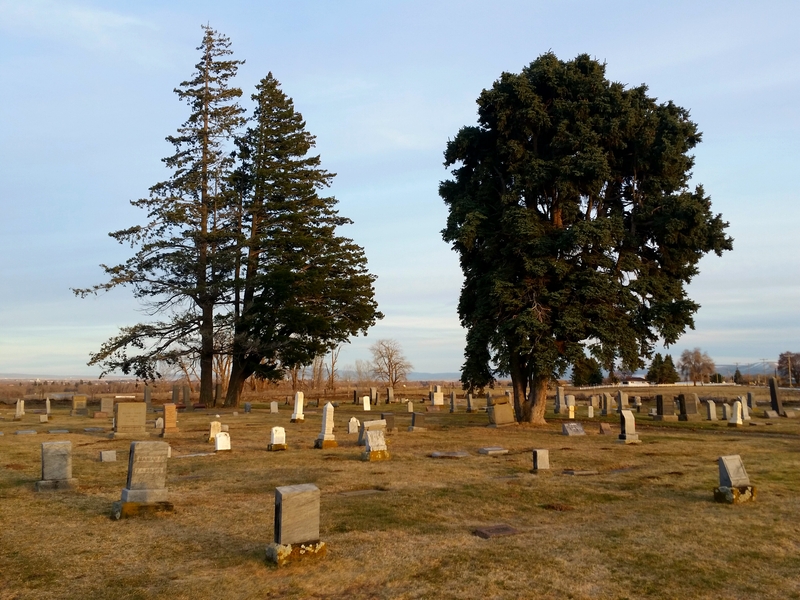 In the 1880s the cemetery became the property of the Thorp Methodist Episcopal Church and was operated by the Thorp chapter of the Odd Fellows Lodge until 1940, when the lodge was dissolved. 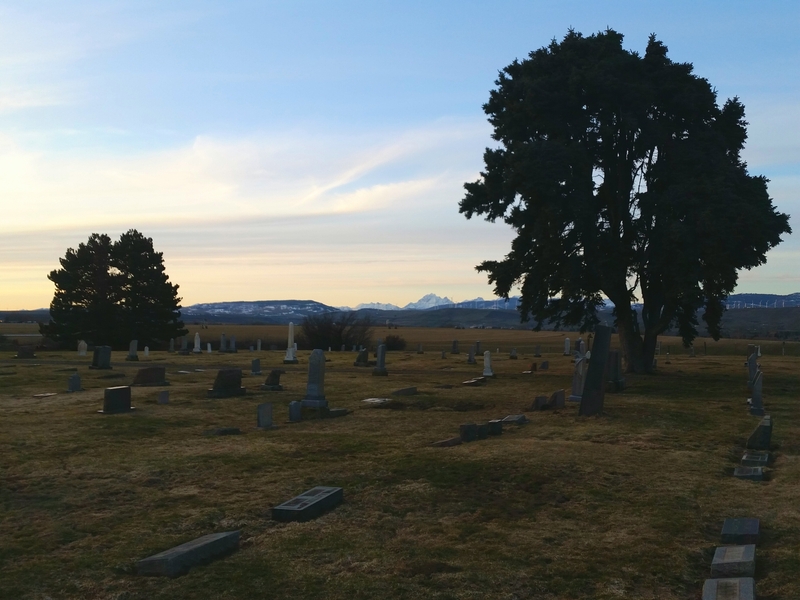 Some decades later in 1962, the Kittitas County Cemetery District No.1 took over management of the grounds and continue to do so today. At one time just saplings. 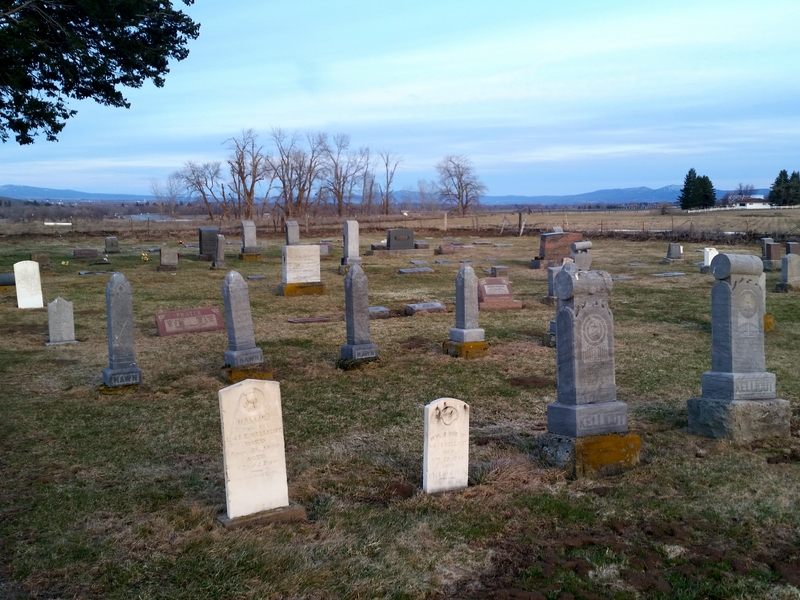 This is still a working cemetery and is regularly maintained, but fully retains a pioneer cemetery charm. Set where the mountains meet farm country, the views are unique. Mt.Stuart rises high to the north while sparse pines give way to farmlands eastward. Many of the stones date back to the early 1900s and into the century before. The cemetery holds a handful of unique and well aged markers to see, including an obelisk. 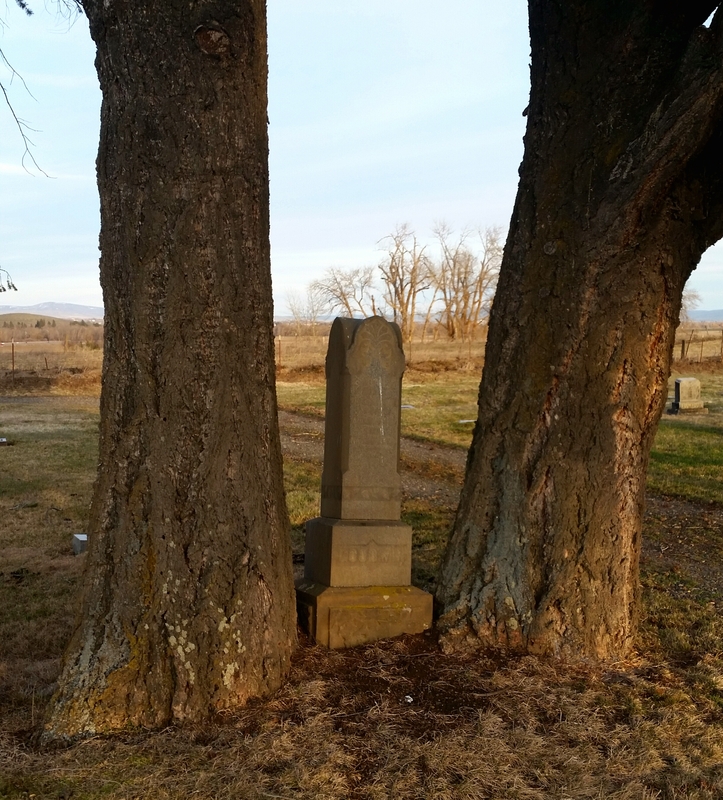 In the 1890s a young Indian woman named Susie was lynched in the Thorp area by assailants unknown. 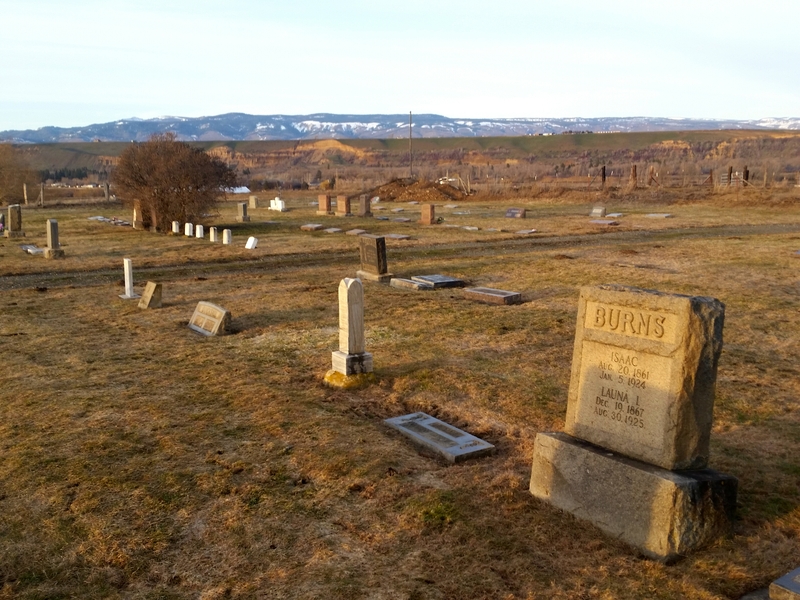 The brutal murder is recorded in official Kittitas County records. Since that time ‘Susie’ is said to appear atop a ghostly white horse in the Thorp Cemetery, weeping amongst the headstones on clear, moonlit nights. Susie did not appear during my last visit, and this cemetery is closed during hours of darkness. Not too difficult to find from the Thorp Fruit Antique Mall: Head southward on South Thorp Highway, crossing over the I-90 before taking a right onto Thorp Cemetery Road. The cemetery will appear on your right in little time. A gravel pullout in front provides parking.